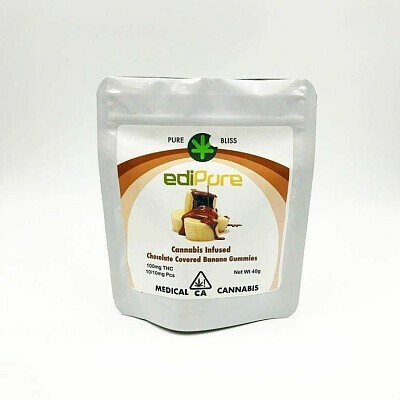 Chocolate covered banana gummies from EdiPure provide a delicious smoke-free option for consumers looking to enjoy cannabis in a controlled and discreet manner. Each pack contains 10 servings. Each serving contains 10mg THC.